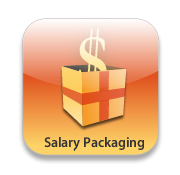 Salary Packaging might sound like a simple enough construct, but it can get rather complicated if you are not aware of what you are getting yourself into. Your employer will make sure that you sign the contract- but you need to know just what that contract means (they throw in a lot of jargon to confuse you, but don’t let that defeat you- ever). Many people choose to get salary packaging because of the fact that it can help you save some money, even after you pay taxes. A salary package, essentially, will entitle you to get some services and products from your employee directly. You will have to agree to a cut in your pre-tax salary for this, though. It’s a contract that is drawn between the employer and the employee- so you still have the right to say no. It might reduce the amount of money you get as salary, but there are some undeniable benefits to the same. There are some limitations on the kind of benefits the company can provide you, legally. If you and your company decide on a salary package together, make sure you get it in writing from the company. That way, you can avoid getting into any tax problems later!